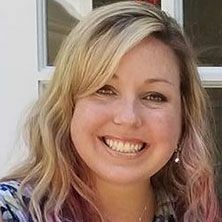 Staci Horne is one of Southern Veterinary Partners' Acquisition Integration Specialists and helps onboard new hospitals into the SVP platform and introduce them to our team, culture and operations. She previously worked at our Valleydale Animal Clinic in Birmingham as a Licensed Veterinary Technician after graduating from Jefferson State Community College with a degree in Veterinary Technology and we are so happy to keep Staci in the SVP family! She also has 7 years of marketing and account management experience and graduated from the University of Alabama with a degree in Consumer Marketing. Staci and her husband Kenny have 2 sons, Ellis & Cameron, and dogs, Turbo & Phoenix & Lilly, plus a mischievous cat named Rhodes. Outside of work, she enjoys home renovations, outdoor adventures with her family and volunteering with Birmingham animal rescues.